Search Records, Family Trees, Newspapers, Immigration, More! We’re experts in these fields and much more. See below for a complete list of our services. RecordClick.com – Voted best service and value! Our customers say that we are the best in the industry. Best price, best service, best results! Joyce, our 40+ year veteran professional researcher has been accredited by the Family History Library and by ICAPGEN in Isle of Man and English genealogy research since 1992. In addition, she is extremely knowledgeable in Irish, Scottish, U.S. and other genealogical searches. Well experienced in genealogy, family history, and tracing roots. She is an extremely effective researcher and often ask for by name by new customers. Joyce credits genealogy research with keeping her “sane” and staving off Alzheimers. Kim, is a gifted family historian and an internationally respected qualitative researcher with an interest in social history. She has conducted genealogical research for over 20 years and as professional for the past 10 years. Kim has a doctoral degree in the social sciences and a post-graduate diploma in genealogical studies. Having a Metis heritage, she has a significant interest in Metis, Native American, French-American/Canadian, Creole and early American/Canadian genealogy. Customers describe Kim as a problem solver. I needed to find out my father’s maternal lineage for the sake of a land issue. He is part Menominee Indian and I needed to determine the percentage. I did an internet search for a company area and found “Record Click”. I contacted them and received a personal call from Elizabeth Khan. The word “personal” or better “personalized” is what I would use to describe the experience with Record Click. They listened to my needs and tailored their search and findings to my individual requirements. I would recommend them to friends and family interested in genealogy issues and plan to use them again to do a comprehensive family tree for my children. Great and thank you. Please pass on my thanks to the researcher. It looks very complete and pleased. We will keep you on the top of our list for future projects. Thanks! You did a great job clarifying mistakes that were in our family genealogy.I plan on using you in the near future for further research. Thanks so much for your assistance with my project. You uncovered information that I thought might be impossible to find, and in doing so helped resolve an historical mystery. Thanks! I’m impressed that you were able to find this information in just 3 hours! The marriage certificate for Eliza was something I had not previously found. Regardless if you are planning to hire us or if you’re searching other genealogist to hire, consider the tips outlined below to help you with your process. Remember, we’re here to help you even if you decide not to order our services. If your considering hiring a genealogist then please read the entire page for some great tips and advice. If you are at a point in your research where you have consulted all the resources you can find and feel like you have hit a roadblock, it may be time to enlist the help of a professional genealogist. What Will A Professional Genealogist Do For You? Organize a genealogy road trip that will allow them to have access to records that may have been geographically unavailable for you. Some genealogists can even travel abroad to seek for records if need be. However, you can always opt to hiring a professional genealogist who already resides abroad. Identify the research problems that the professional will be required to solve. If you had already begun the research process and have additional information that may be useful to the Genealogist, always provide it. This will cut down on costs and avoid any doing repetitive work. Determine how much you can afford to pay the Genealogist. Remember not everything can be found in a single research session. Therefore, it is best to have the appropriate fees to cover the number of research sessions that will be required. It is always best to reach out to more than one researcher. This is the best way on hiring a professional genealogist near me. It will give you the opportunity to find out what different professionals can bring to the table, making it easy to pick one that is more suitable for you. Always remember to briefly explain the problem and point out what the professional will be required to do. For instance, they can perform a specific record search or even act as a consultant on your research. 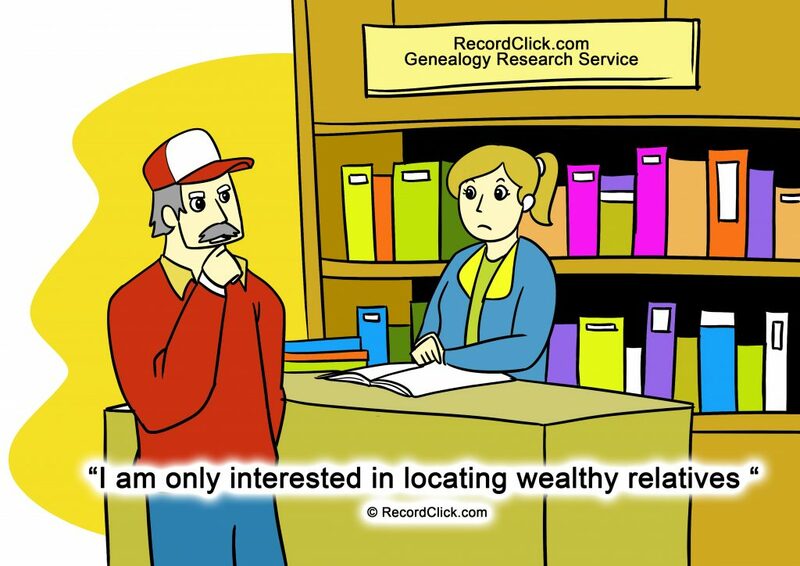 It is also best to determine the fees charged by the professional genealogist and inquire on how long the research may take before receiving an initial report. Provide copies of documents that are associated with any previous related research. This minimizes any duplication that may occur. Also, provide a record showing all the records that have been searched. After reviewing the documents that you have provided, it is only normal for the professional to require some level of clarification. Be prepared to answer questions such as; which genealogy program should be used? Are translations necessary? Ensure that you understand and agree upon all the costs involved beforehand. Also, determine who will hold publication rights to the final research work. Always focus on realistic expectations. It is not unusual for the professional not to find the exact information that you are looking for. Even before hiring a professional genealogist, it is best to know as much as you can about the research process. This makes it easy for you to find the expert that you need. It will also make it possible to understand what you should expect. This knowledge will come in handy especially when interacting with the professional. Today, genealogists have found ways to use technology avenues like social networks for communicating with clients. As such, it is best to find a professional who can use such platforms to keep you updated. Due to the fact that your ancestors lived in many places, you do not need to necessarily hire a professional genealogist who resides in one location. There are a variety of ways that professional genealogists can gather documents from any geographical location. There are several key websites that comprise of an exhaustive collection of information. This will ensure that the professional is privy to as much research materials as possible. Online searches are not the only way to gather substantial information. Finding someone who is ready to consult physical records and answer your brick walls is the best way on how to lure a professional genealogist. Do not be in the dark about the research process. Ask all the necessary questions to ensure that the genealogist can help you in your area(s) of interest. Regardless of your reasons for hiring a professional genealogist, you should strive to recruit the best person for the job. After all, learning about your family history is a rewarding experience. Where Can You Find A Reputable Professional Genealogist? Right here on RecordClick.com. Our professional genealogists are trustable and have great reputations. You’ll quickly learn there is no substitute for working with the best in the industry. But don’t take our word for it, have a look at our customer testimonials. You will not find better professionals than those who are part Record Click. Alternatively, The Board of certification for Genealogists is a good place to find a reputable professional. It comprises of a register of professional genealogists who are highly qualified and are offering their services for hire. Local courthouses, archives, historical societies, and libraries also offer any information that you may need about hiring a professional genealogist. When you find the professional of your choice, remember to communicate your expectations. This will allow you to get the most out of your experience.